PERFECT ADDITION - AND SO EASY TO USE! These rose bouquets come in a huge variety of colors, and make decorating so much easier! Forget about last minute flower deliveries, or stressing about keeping bouquets looking fresh - these real-looking, real-feel rose bouquets are so handy! Each bouquet comes with 10 flowers in each - choose your color, then hit Add To Cart above. 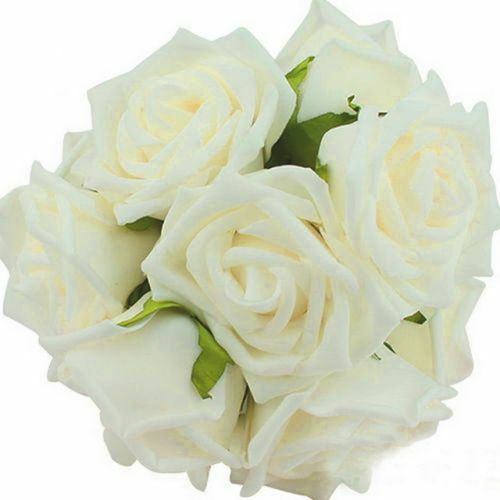 The length of each rose is around 14 cm (~6") and the width across the rose is about 8 cm (~3"). For more information click the 'Details' tab above.